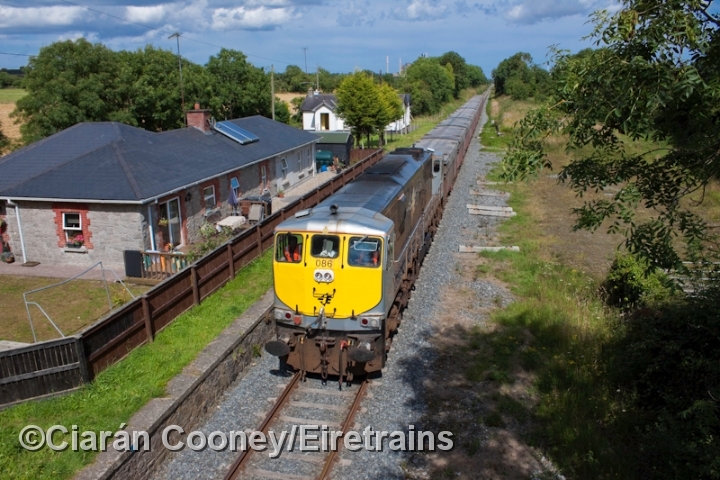 Duleek, Co.Meath, is a sizeable village located on the former Great Northern Railway's Drogheda to Navan and Oldcastle branch. 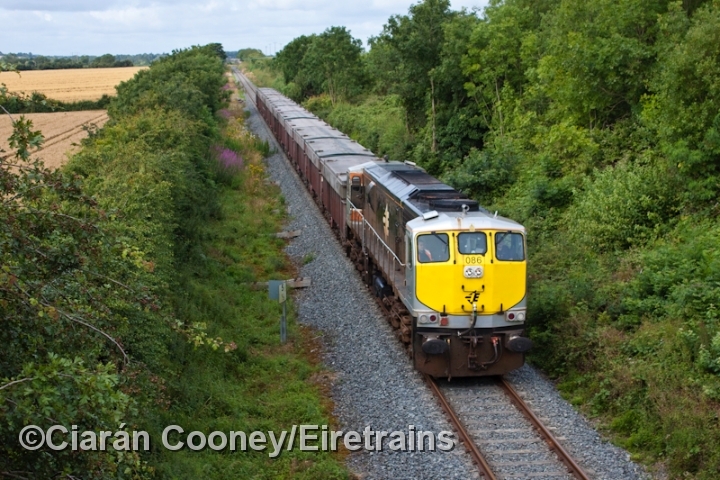 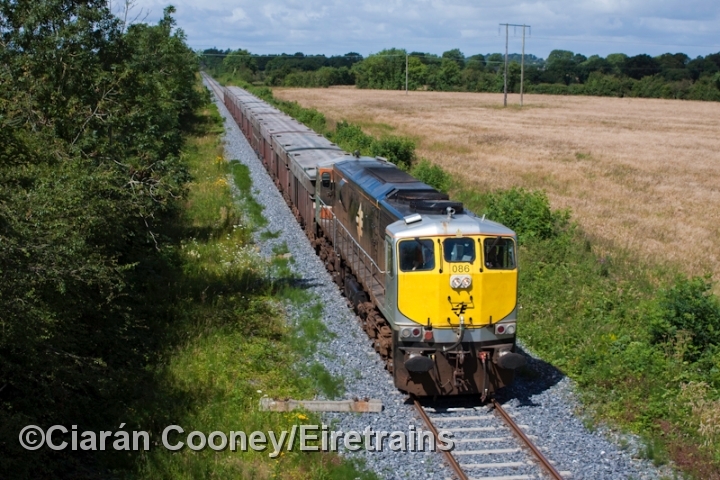 Opened in 1850 by the Dublin Belfast & Jct Railway, the line lost its passenger service in April 1958, but remains open for freight traffic from the Tara Mines site at Navan. 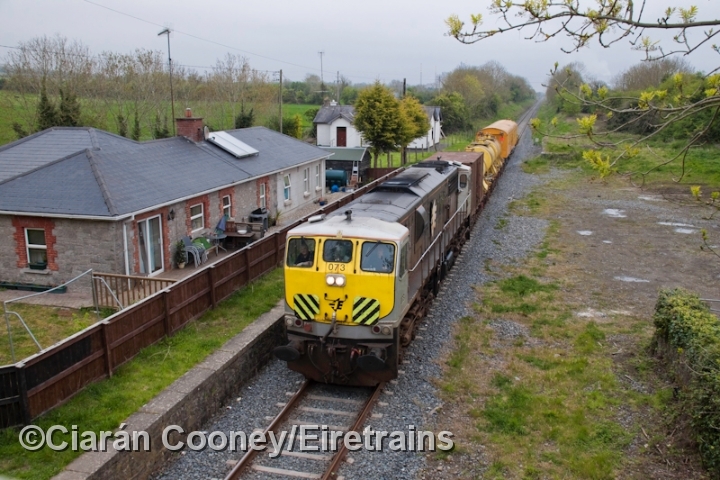 The single storey station building and platform still survive at Duleek, the station now being a private residence. 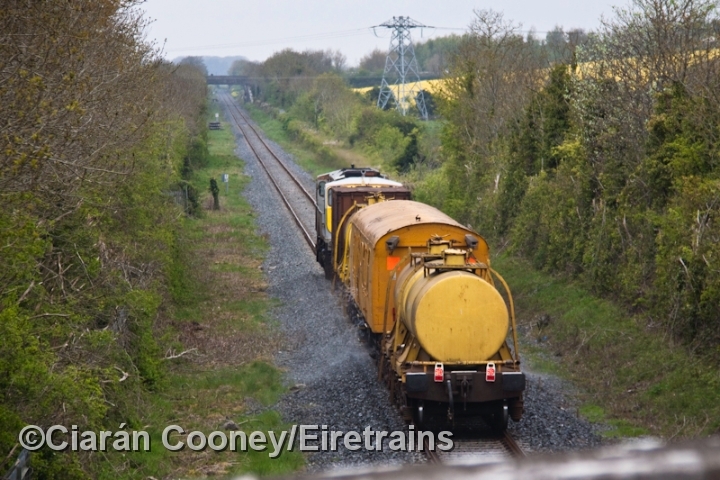 On the 'up' side of the station was a goods loop and loading bank, disused since the late 1960s.